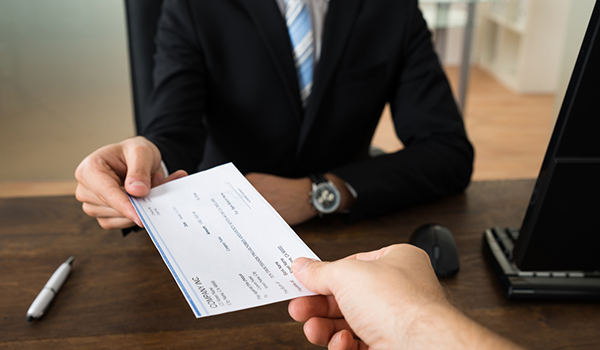 Effectively manage your business checking account(s) with the personal touch you can only find at Directions Credit Union. Gives you secure, 24-hour access to your business accounts. With our online banking, you can view accounts, apply for loans, order checks, enroll in Bill Pay, and much more. Gives you convenient, on-the-go options for managing your bank accounts. With features like Remote Deposit Capture, your phone becomes a true banking branch on-the-go. Whether your account sees a lot of action, or just a bit, a Directions business checking account will work for you. Use your money to grow your business, instead of paying your bank. Directions members pay zero monthly fees for business checking accounts. As your business does its thing, your account balance may vary. Rest easy knowing that your business checking account doesn’t require a minimum balance. You just need a $100 deposit to open a business checking account, after that — you’re in business. Deposit or clear up to 200 items every month for no charge. Please contact a Directions team member to learn more about high volume business checking. Your money works for you when it’s in a Directions business checking account. Please contact a Directions Business Services expert to learn more about business checking accounts. Open your account today, call Directions at 419-841-9838 or 1-888-508-2228 (toll free). Directions offers a variety of Business Savings Accounts. We’ll help you find the right ones for you and your company.